Heading up North for vital voice conference! Home / News / Blog / Heading up North for vital voice conference! 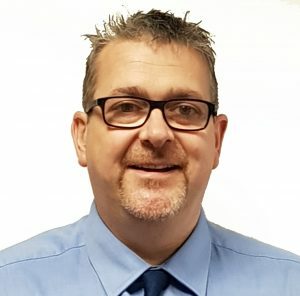 In our latest blog, DP Medical’s Northern England & Scotland area manager of the medical division, Rob Hampson looks forward to the Newcastle Voice Conference. The 14th Newcastle Voice Conference will take place at the Royal Victoria Infirmary from 13-14 November 2018, and is an event we are very proud to be able to sponsor. The conference is specially designed for professionals such as speech and language therapists (SLT) and laryngologists covering areas such as disorders associated with the voice and upper airways. This year the main theme of the conference is ‘The Extended Scope of the Voice Practitioner’. Topics will include the use of endoscopy in an SLT outpatient setting, office based surgical treatment of vocal cord palsy, laryngeal nerve re-innervation, management of chronic cough and inducible laryngeal obstruction, voice therapy post-phonosurgery, voice treatment options post laryngeal cancer, tele-therapy and paediatric voice therapy. The 2018 conference’s international keynote speaker will be Dr Anne Vertigan from New South Wales, Australia, who says her dream is to find a cure for chronic cough or even to stop it occurring in the first place. This is a wonderful and wide-reaching event which we are delighted to be at the forefront of and we are very excited to be there showcasing our entire range of Xion Video endoscopy equipment, specifically designed for ENT/FEES and Stroboscopy Clinics. These will include two EndoCompact systems, an EndoPortable system, an EndoStrobe system and an Endostrobe HD system. We are really looking forward to meeting as many people as possible and showcasing our involvement in this great event and how our products can help. To find out more about the DP Medical Systems ENT range, please visit: www.dpmedicalsys.com/medical/ent.